Backgammon is one of the most popular games in the world. In the colourful design of Remember the board game is a true eye-catcher and a special gift idea. The game comes in a high-quality wooden box, which can be closed with a magnet when folded. On the outside and inside the box is printed with a colourful Remember pattern and thus becomes the object and eye-catcher in the living area. The Backgammon box includes 30 pieces and 5 dices made of plastic, which can be kept in a black cloth bag after the game. 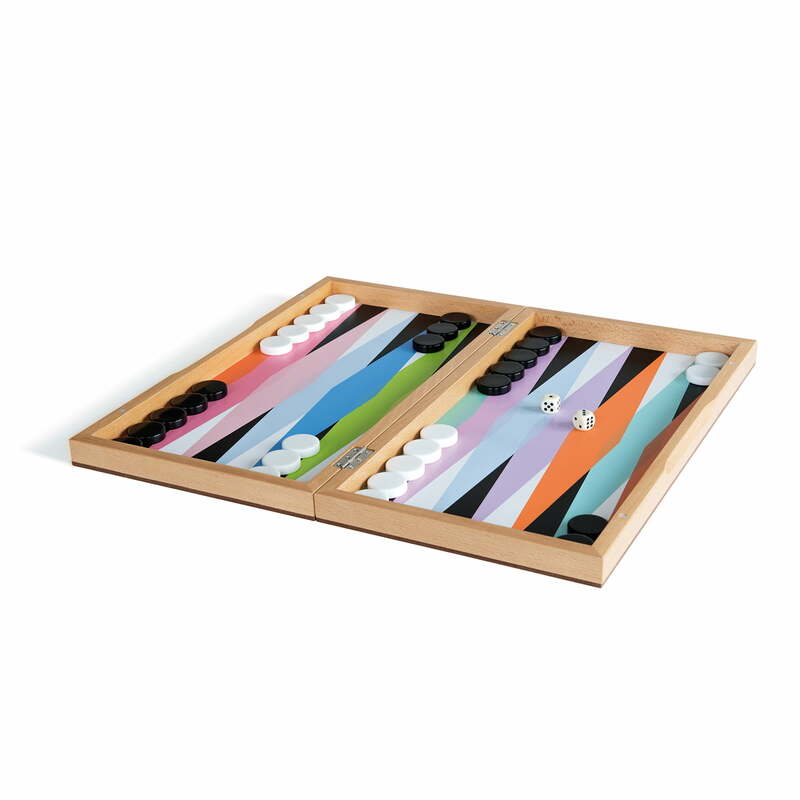 The Backgammon box by the manufacturer Remember includes 30 pieces and 5 dices made of plastic, which can be kept in a black cloth bag after the game. 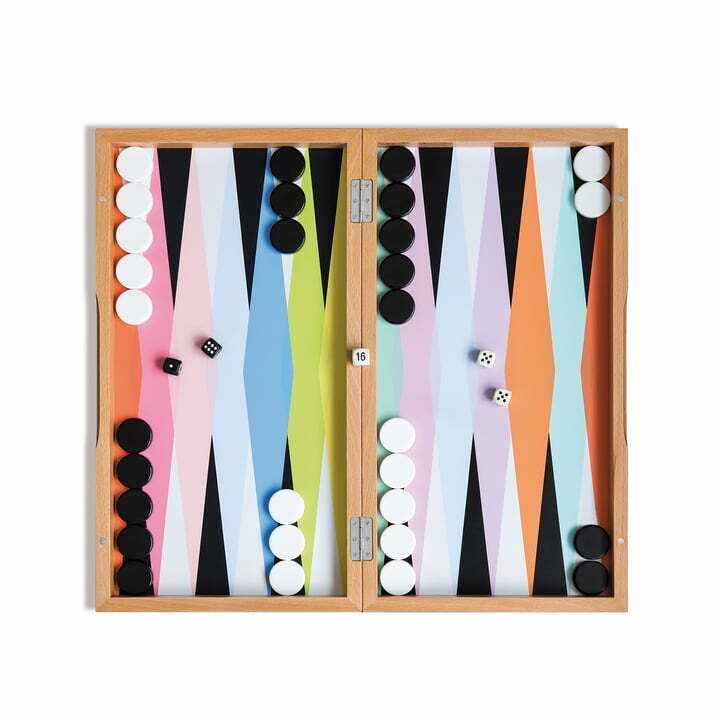 The Backgammon board by the German manufacturer Remember is one of the most popular board games in the world and comes in a new look in the Remember design. The box is made of high quality wood and closed with the help of a magnet. 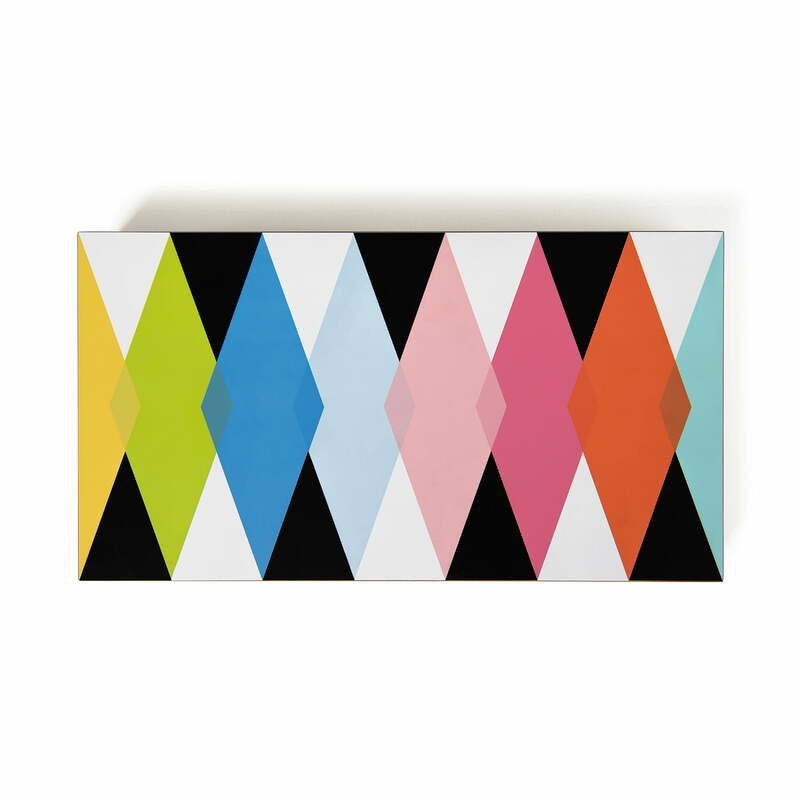 On the outside and inside the box is printed with a colourful Remember pattern and thus becomes the object and eye-catcher in the living area.